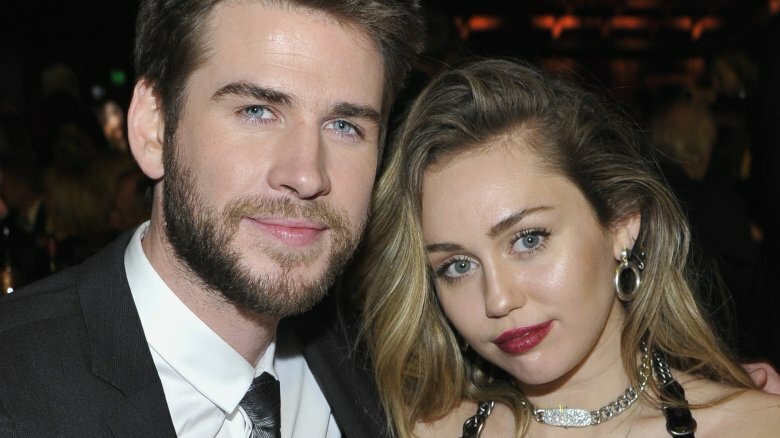 Hunger Games star Liam Hemsworth couldn't be happier after tying the knot with singer-actress Miley Cyrus. The newlyweds recently made their first major public appearance as a married pair while attending the G'Day USA Los Angeles Gala in Culver City, Calif. on Saturday, Jan. 26, 2019. Hemsworth, who was honored with the G'Day USA Excellence in Film Award at the event, shared an inside look at what married life is like during an interview with Extra. "It's all wonderful and I feel very lucky to be with her," the Australian native told the media outlet, adding that the private pair's new status as husband and wife feels "the same but different" since they've "been together for the better part of 10 years." As Nicki Swift previously reported, Hemsworth, 29, and Cyrus, 26, officially got hitched during an intimate ceremony held at their Tennessee home on Dec. 23, 2018. The Last Song co-stars, who lost their home in Malibu, Calif. due to the state's ravaging wildfires the previous month, first met on the set of the Nicholas Sparks film in 2010 and announced their engagement two years later. After famously calling it quits in 2013, the on-and-off couple later rekindled their romance in October 2016. "I needed to change so much," the "Nothing Breaks Like a Heart" singer told Billboard the following March. "And changing with someone else not changing like that is too hard. Suddenly you're like, 'I don't recognize you anymore.' We had to refall for each other." Both Cyrus and Hemsworth confirmed their wedding news while sharing a number of black-and-white snapshots of the duo on their big day on social media. For his part, the Independence Day: Resurgence actor tweeted out a sweet photo of the two with their arms around each other. Alongside a red heart emoji, he simply wrote in the caption, "My love." While speaking with Extra over the weekend, Hemsworth admitted that "it wasn't hard" to keep their nuptials quiet. "We have a small group of friends," he continued. "It was mainly immediate family — a spur-of-the-moment kind of thing. I am very happy to be where I am." Meanwhile, at the event, the Isn't It Romantic star continued to gush over his new wife while accepting his award. "Thank you to my beautiful wife," he said (via Us Weekly). "You're a sweet, sweet angel."